Magento and Prestashop are among the most reliable and sustainable open-source CMS solutions. Both offer unique approaches to create an eCommerce store. They are widely used throughout the world to develop e-commerce sites. As per builtwith.com’s latest technology trends Magento hosts about 550,000 sites compared to PrestaShop (with 386,000 sites). While the two CMS systems compete with each other in the eCommerce world, they do have a few similar features. Therefore, this makes the Magento Prestashop comparison tricky. The article aims to highlight the benefits of Prestashop and Magento solutions to help you assess which one among is the right match to your requirements. The ideal shopping cart software helps address a company’s specific needs. Magento Vs. Prestashop – Which One Should You Choose? The final choice depends on the nature of the project and its objective. However, it is vital to understand the capabilities of either Prestashop or Magento before you decide which one is the right fit for your eCommerce business. The development of a Prestashop site is simple since many features are included from the outset, such as catalog management, orders, and accounts receivable or shipping. If Prestashop offers an intuitive interface, Magento requires more skills. As a result, even though Magento appears complicated at first, but in the near future, it provides greater possibilities for customization. Magento offers advanced features that meet a wide range of needs. The range of extensions, services, and third-party software access makes Magento even more flexible and scalable. It has better SEO optimization than PrestaShop. Also, it is capable of managing a complex product catalog. Magento’s biggest strength is its ability to manage multiple brands or online stores, and several currencies. With Prestashop, the service of features and graphics themes remains relatively limited which is good to start but does not suffice when you want to take your site to the next level. Magento is ideal for managing large product catalogs and supporting heavy traffic. Interestingly, Magento can process more than 80,000 orders per hour with the right kind of hosting server. Further, it can help an unlimited number of products. However, its power causes it to run out of velocity and hence it is sometimes termed as slow. Prestashop, meanwhile, remains perfectly stable and efficient as long as you stay on a product catalog of fewer than 10,000 references and your traffic does not exceed 150,000 unique visitors per month. Beyond this, you will require a dedicated server to avoid slowdown of the site’s loading time, which implies additional expense. Magento puts you in touch with a vast community of developers. It includes Magento programmers and contributors who not only try to improve the solution but also guide and advise e-merchants facing technical challenges. Further, Magento offers a corporate version with one-year warranty maintenance. Therefore, project customization with this CMS is seamless. Prestashop, on the other hand, even though it has a large support team, yet most of them are French-speaking individuals. Magento offers advanced product management than PrestaShop, and precisely at the attribute level. You will be able to create multiple attributes of different types and use them in many parts of the site to view, order, categorize and search products in the front end. It is a real plus with Magento, especially when you have a well-stocked catalog. The navigation in Ajax with Magento administration is also favorable. With PrestaShop, these features remain necessary, simple, but sufficient for products that might not require additional detailing. The difference is less pronounced here, Prestashop offers more modules to add features, but Magento at its core is much more configurable and offers themes that are more graphics. Further, Magento even offers news management, FAQ, gift certificates, and product comparison. The possibilities in terms of customization, both in terms of themes and plugins, are numerous with Magento even though Prestashop offers a higher number of modules. Magento Or Prestashop – Which Is Better? Thus, it is clear, that with Prestashop vs. Magento discussion, the question is purely about which product meet the project requirements at its best. 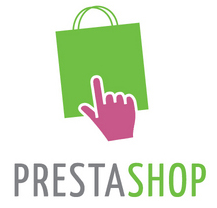 While PrestaShop, with its simple operating module, is a perfect economical solution for small projects. Magento appears to be an ideal choice for businesses, which are small today and wish to ramp up periodically in the future. It is with site creation for many visitors, multiple transactions, and different products. Since Magento is predestined for sites with heavy volume, you will need the services of an experienced Magento web development company, like Rishabh Software. Our team can help you create custom solutions to match your business needs and growth plans. However, it is best to check all the alternatives to decide which works best for your company before making the final decision. Previous PostWhy Are Progressive Web Apps The Future Of Mobile Web? [Infographic]Next PostBenefits Of Mobile Apps For Business: 7 Reasons You Need Mobile App Today!